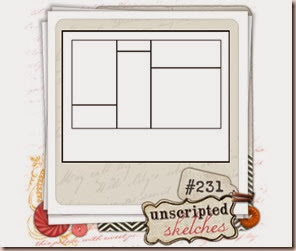 Welcome to another Unscripted Sketches card. This one was really fun! I decided that I was going to embellish each of the horizontal lines on the sketch rather than leaving them plain. I adore the ‘love this’ font. It’s from a new SSS stamp set I got in a card kit. Thanks for coming by to visit! I hope you will come by the US blog to play with us! We are always looking for new people with new styles and takes on the sketch to wow us! Previous postMy First Unscripted Sketches Post as a DT Member! 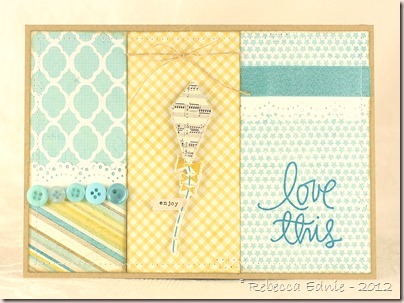 I love the kite and the soft and yet so sunny colors !! !